As I Lay Dying have announced the details of their upcoming release ‘Decas’ and the ‘A Decade of Destruction’ tour; both coinciding with the band’s 10-year anniversary. With over 1,000,000 units sold in the U.S. in just less than 10 years, San Diego metal act As I Lay Dying will celebrate this milestone with the very special release Decas, available November 8th in North America. ‘Decas’ celebrates the band’s accomplishments by offering three brand new songs, cover songs that pay homage to just a few of the bands that have influenced the Grammy-nominated metal group, and remixes by Innerpartysystem, Ben Weinman of The Dillinger Escape Plan, Kelly ‘Carnage’ Cairns, and Big Chocolate. 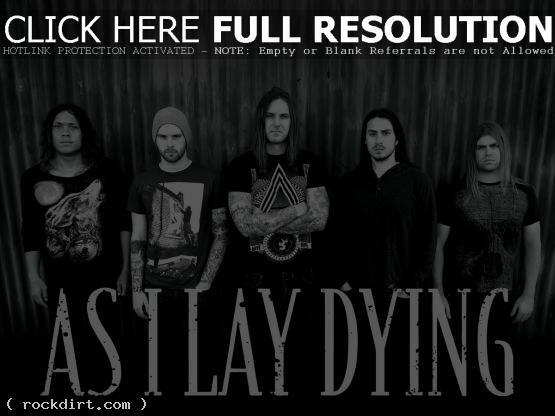 In conjunction with the band’s 10th anniversary and the release of ‘Decas’, As I Lay Dying will finish off 2011 with a national headlining tour that will include selections spanning the band’s career. Joining As I Lay Dying on A Decade of Destruction tour are special guests Of Mice and Men, The Ghost Inside, iwrestledabearonce, and Sylosis. A Decade of Destruction kicks off on November 30th in Long Island, New York and wraps up in the band’s hometown, San Diego, on December 16th.